Home Driving To Sell Or Scrap An Old Car? 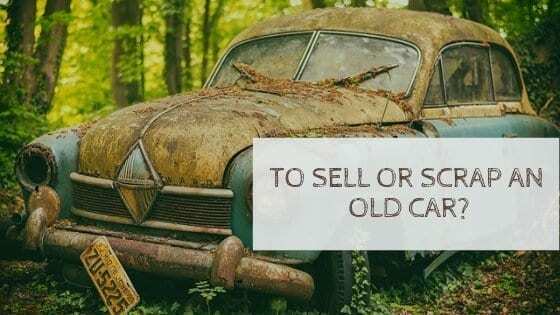 For as much as we love and take care of our cars there comes a time, especially with older cars that we need to consider whether it’s easier to spend time looking to sell or scrap an old car and start afresh. It may see like a lot of time and effort is required to selling your old car – invariably selling your car is just like selling your house. Expect interest, people coming round to check it out, time wasters, cheeky offers and the finally someone who loves your car enough to put in a serious offer and take it off your hands. Sprucing your car up will certainly help for a quicker sale – have it valeted properly, a nice shiny, great smelling car always gives a good impression. If your car needs a jump start to get going, it maybe wise to invest in a new battery and keep the receipt, whilst factoring this into your selling price. Sites such as GumTree offer free advertising, whilst sites such as AutoTrader do charge for featuring your car on their site. Selling your car privately as opposed to using it against purchasing a new car at a dealership will enable you to secure a better price! The alternative, if you are short on time or you feel your old car is undesirable is to simply scrap your car. However is the process really that simple? Gone are the days when you had to trawl around dodgy looking car breaking yards, since 2005 it has been a legal requirement for any car needing to be scrapped to go to an authorised treatment facility, click here for more information. Finding a vehicle scrapyard can seem daunting when presented with the many results Google brings up, but just keep in mind that anyone who offers you cash is providing an illegal service! It doesn’t cost you to scrap your car and some scrapyards offer home collection, relieving the stress somewhat! What Is Your Favourite Driving Tune?